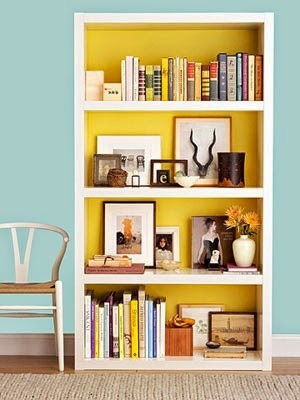 Jode Designs: Think outside the square.. Beautiful bookcases..
Everyone has or is in need of a bookcase.. They are one of my biggest selling furniture pieces.. 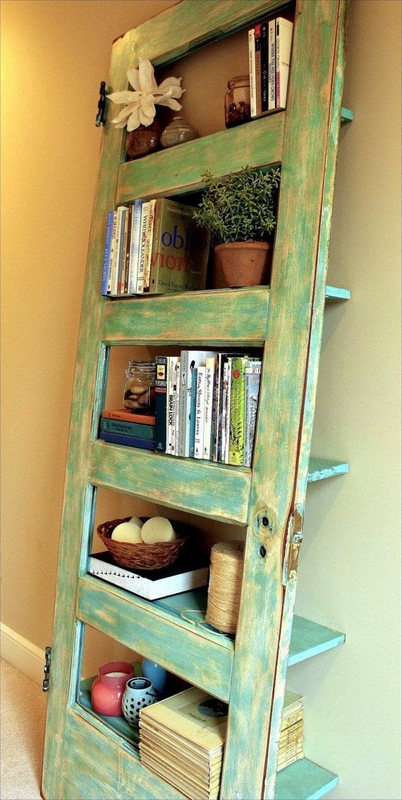 Here are a few ideas on how to revamp your old one or create one using recycled materials which are probably floating around your home!.. IDEA ONE: Make a feature backing.. Whether you use wallpaper, timber panels or paint.. adding a feature backing to your existing bookcase will turn it into modern and stylish piece.. If your feeling very adventurous you could also paint the frame in a contrasting colour to make it really stand out! Enjoy..
Click on the links below for more information.. IDEA TWO: Spray paint it.. 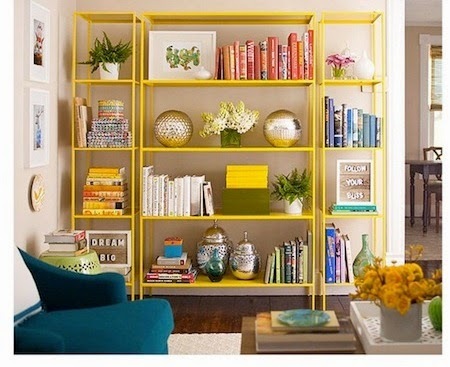 If you have one of those old metal or cane bookcases and you just don't know what to do with it.. Then why not give it a new life with a fresh coat of spray paint.. You can make it a colour that pops.. or go a more sleek look by painting it metallic gold or silver.. Enjoy..
Click on the link below for more information.. 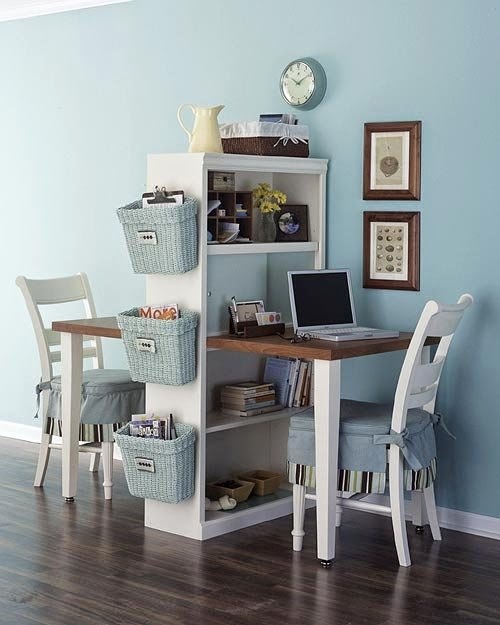 IDEA THREE: Make a desk out of it..
Similiar idea as the filing cabinet desk.. you could put two smaller ones (or cut one large one in half), use it at either end and place a table top on them or you could use one tall one and slide the table table through the middle.. 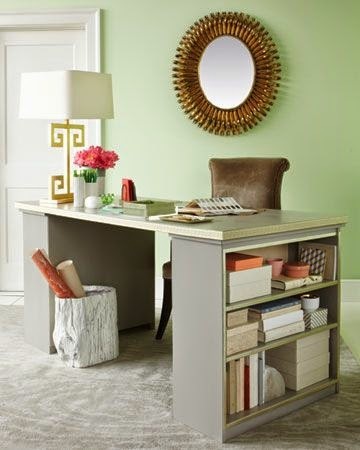 Both ways look great and are very useful for all your 'study/business' needs.. Enjoy.. 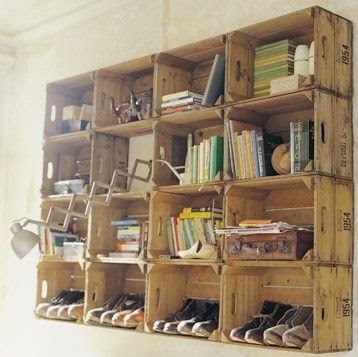 IDEA FOUR: Create something new from old.. This is my favourite part of restoring.. 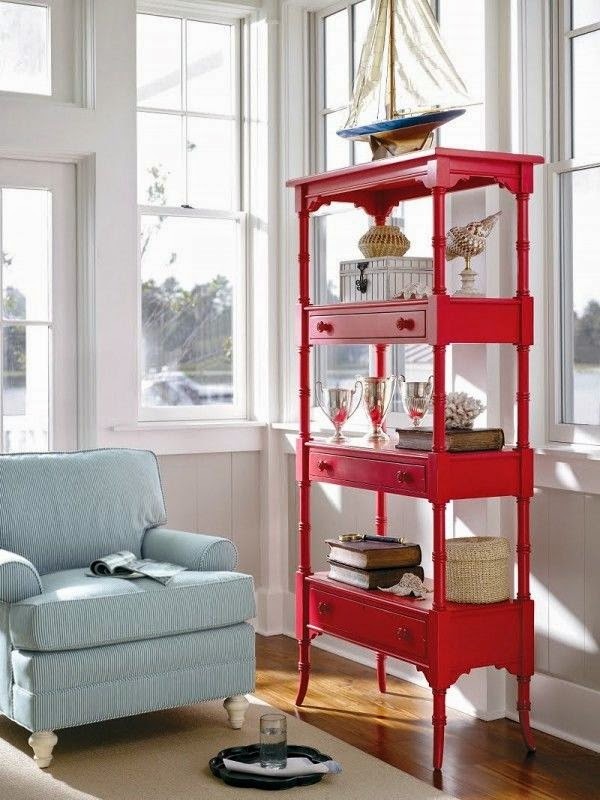 Being able to look at a piece of furniture, which may have been created for one us but with a little imagination, can be transformed into something completely different.. 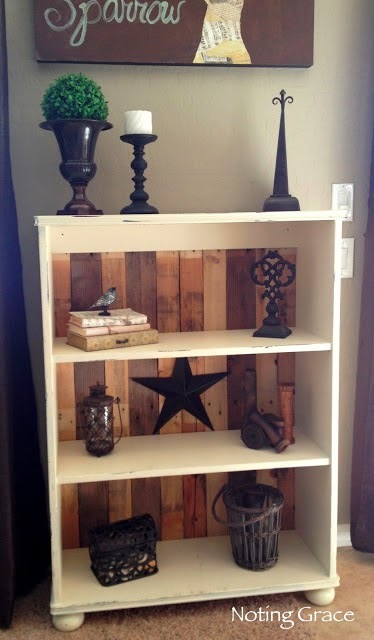 These nest two ways let you transform a new bookshelf from an old wooden door and some old wooden coffee tables.. Enjoy..
Click on the links for more information.. 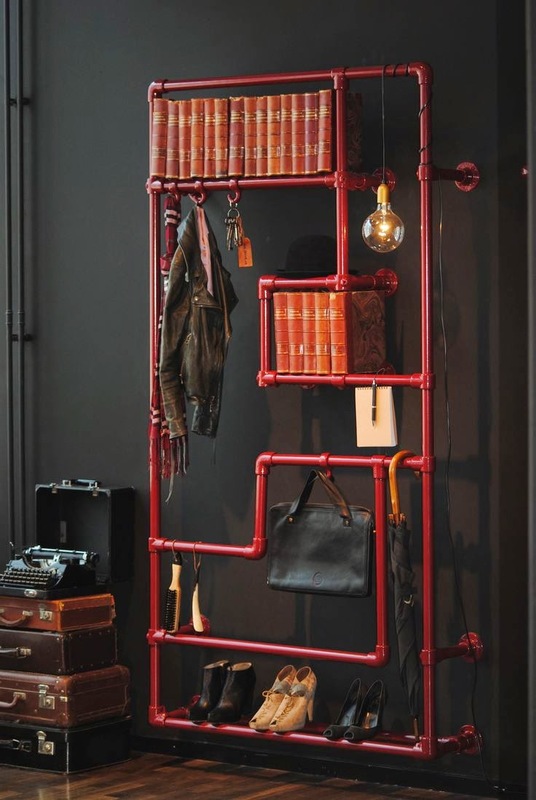 IDEA FIVE: Get an industrial look..
A bookcase doesn't just have to look rectangular and be made from timber.. 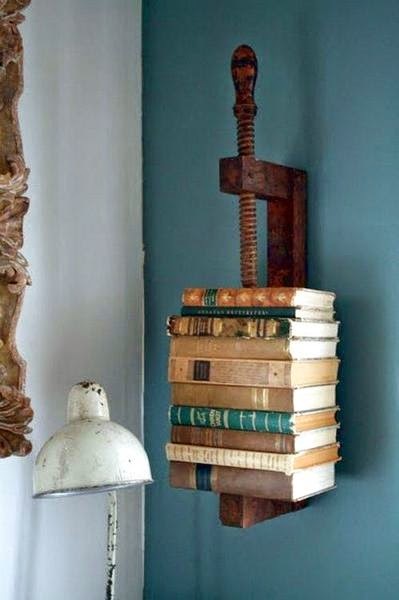 These industrial looking bookcases will really make a statement in any room and are quite easy to make.. Made from materials you can pick up at your local hardware or scrap metal yard.. Add some paint or leave as is - whatever your style!.. Enjoy..
Clcik on the links below for more information..